So, it's a day for glitter. 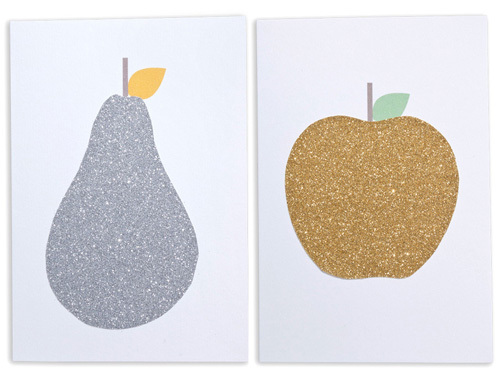 I love these pear and apple cards, £3.50 each, from newly launched stationery website, Brown Paper. I am enjoying this current run of glitter love!